March « 2018 « Chemline, Inc.
Good deeds have ripple effects. Give your students this experience firsthand. From simple acts done in a few minutes to in-depth lessons, you can teach how to pay kindness forward in whatever time you have available. The rewards are mighty. These lessons create more well-rounded students with a broader perspective of the difference they can make in the world. No matter the grade or subject you teach, getting students in on the movement to pay it forward may be among the best ways you can pay it forward as a teacher. Be sure to download these FREE sustainability posters as another way to teach your students to pay it forward. Download and cut out compliment cards for students to hide around the school (in library books or lockers) or around their town. On the back of the card, jot down the link with a request for recipients to print their own set of compliment cards to hide so the movement continues. Do a kind deed for Mother Earth. This free lesson gets kids focused on the waste produced at their school and developing a way to create less of it through data collection and analysis. Students then bring their findings and ideas to administrators, parents and community members and even perform in public service announcements on behalf of reducing waste at their school and elsewhere in the area. Everyone benefits from a cleaner planet. Keep it super-simple and just get the idea into the air by making a class list of ways to pay it forward or what it means to be kind. Encourage students to do something kind for another person and share their experience in a writing log. Every time a student in the class does something kind for a classmate, add a paper link to the chain. By the end of the year, hopefully, the chain crisscrosses the room more than a few times to show how much your kids’ kindness grew. Take a Mission Impossible approach and assign 7 days of secret acts of kindness to your students. This underscores the anonymity of paying it forward—it’s not about the recognition you get for being kind, it’s all about making someone else feel good and hoping they pass that feeling on. Teach students the significance of empathy and the role it plays in their lives with help from the free short film Wright’s Law, by Zack Conkle. Through classroom discussions and reflective writing, students explore social and emotional learning and positive role models. By the end of the lesson, students have learned the power of caring about others and the positive force they can be in the world. Pass out Post Its and Sharpies to the class and task students with writing as many kinds and encouraging notes as they can in 10 minutes, then quietly have them quietly sneak into the halls or bathrooms and hang the notes without being noticed. Work with students to identify public spaces in the community or school and describe what makes them great (are they accessible and inviting?) or not so great (are they dirty or dimly lit?). 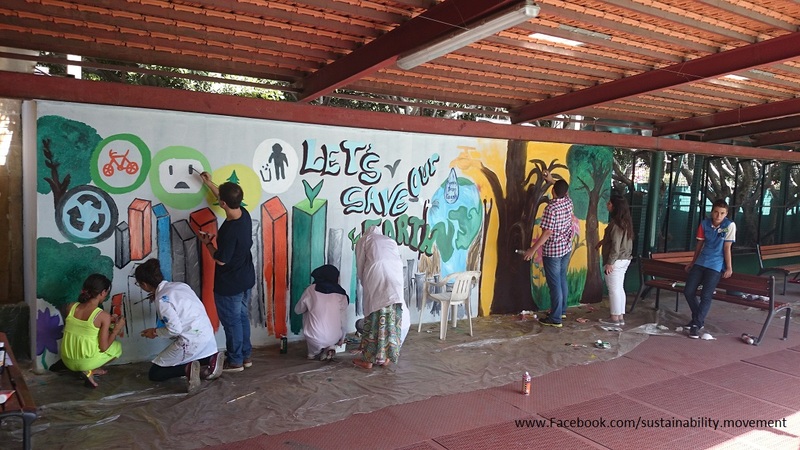 Then find an area inside or outside the school that students can clean up, improve or adapt so that everyone can enjoy it. Get lesson plans to accompany this idea via LearningLab.usgbc.org. Tie paying it forward into science curriculum (the link below takes you to free lesson plans) by teaching about the benefits of and threats to trees, wrapping up the lesson by planting a new tree (or trees) for the school or community to enjoy. Designate a week Pay It Forward Week and kick-start it with an assembly. Show a video clip, read a book (try to Drop a Pebble) or put on a skit demonstrating how kindness spreads. 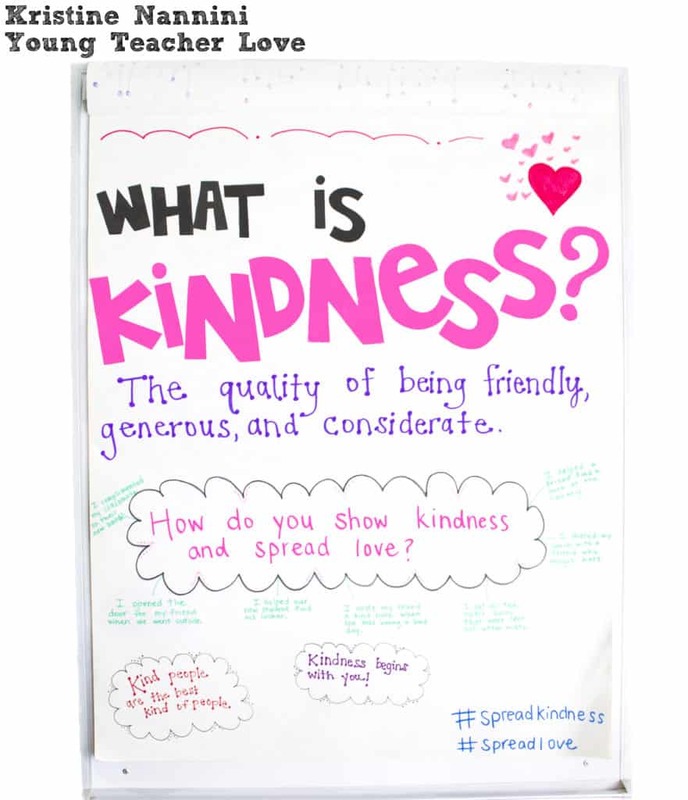 Hand out lists of kind acts to complete, and request kindness recipients share their experience on the school website and pass the kindness on. You can even hang up posters to help get everyone involved. Download our free posters here. When you can get the entire school involved, it really promotes overall excitement. If you’re looking for another way to get the entire school involved, check out the project ideas at Green Apple Day of Service.